So, first of all, how did you become involved with Blade Runner 2049? Well, it started with Denis Villeneuve and Joe Walker – the film editor of Blade Runner – seeing Mad Max: Fury Road while they were filming in Budapest, Hungary and quite liking the sound of the film. That was a film I had supervised, and they thought that was the direct sensibility what they were looking for Blade Runner and then that was followed with an interview where I went to set in Budapest to meet Denis and teach myself in front of the whole crew, which was a daunting exercise. How did you know that? I’m glad you’re aware of that metaphor, I give you credit for that. Yeah, I came across it when I was doing my research for this. I thought, it’s quite a concise way of putting it as well isn’t it? You know, I think it’s very concise; it puts it in terms that filmmakers can understand, because we know what director of photography does and we know what a film editor does. It’s been a useful tool because often, even within the film community, very few people understand the difference between a sound editor and a sound mixer. Outside the community it’s virtually not understood whatsoever. 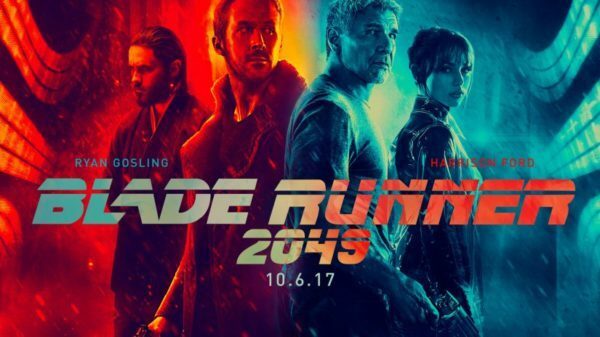 Well, what I was going to ask if you could describe your creative process when it came to Blade Runner 2049 – where did you start, and how did it develop? The creative process was really terrific. First of all, Denis had wanted his whole career to have the opportunity that was afforded to him on Blade Runner: to bring sound on early enough in the process to inform his edit. He recognises that sound is as much a storytelling tool as the images. He brought the sound team on, including myself, very early on in the process, and he gave me a great deal of latitude to just begin experimenting. To that end, I spent several months really just in free form creation mode, where I followed impulses to create textures and sounds that I thought were provocative, but I didn’t really know their meaning or place in the film until I began to play them for Denis and for Joe Walker. Then we would talk about it – “yes, that’s the feel for this area of the movie, that scene, this moment”. As we went down that road, many of those early sounds were treated by using musical instruments, or musical sounds, as textures. Denis’ early instruction to me was compose with sound; he gave me an early version, an early cut of the film with no music in it. He said, compose with sound, build the scene. If you can, if sound can tell the story and carry the scene, that’s the scene we don’t need to score for – in many ways Denis is a minimalist and he only uses score when you really need it. He doesn’t try to over lead the audience, which sometimes music could do. The same with sound. You don’t want to over lead the audience, and so that gave us the opportunity to think like composers and use ideas about timbre and rhythm and phrasing and tempo the way music composers do to compose a scene. Do you think it’s fair to say that a huge part of what you do then is about setting mood and dictating tone, imparting that to the audience? Oh, very much so. That’s quite perceptive because that exactly is what we’re looking for. Denis would talk very often about how does a scene feel? What is the emotion of a scene? You would never dissect or deconstruct a scene or micromanage a scene and say “this sound needs to be here. I want that kind of sound”. He would simply say how a scene made him feel, and then he would ask us how can sound get us there? So, we were very often looking for the mood and tone of the scene. That was one of the reasons why these kind of designed textures, these musical compositions that don’t really have melody but have a musical feel to them, work so well and the film is replete with them. Almost every scene you’re in has one of these designed textures that you could confuse for score, but was really just creating a mood. One of the reasons for that is that we did deconstruct the first film, and one of our earliest discoveries was that Vangelis [composer for the original Blade Runner] had made these really beautiful musical textures that were much more like sound design if you will. They didn’t carry any of his very memorable melodies. They were built as sort of wild effects, and [Vangelis had] really very smartly picked and chose the ones he liked and put them in scenes as sound design. You never really knew with this really sort of grey area – was it sound design? Was it music? So, two sound designers created these very moody atmospheres that worked like music and you weren’t sure. Well, was that Vangelis or was that sound design? In their way none of it mattered, because our takeaway was all of it built towards a very seamless and cohesive soundtrack that was simply the sound of the movie, so that you never – the audience never – had to ask themselves or have the thought “oh, that’s a lovely piece of music” or “that’s a great queue” or “I like that sound effect” or “that’s interesting”. Our goal was to achieve what they’ve achieved in the first film: this immersive environment of mood and tone that enveloped in almost every scene. Just to pick up on that, did you feel a particular pressure to adhere to the sound and style of the first film? Well, naturally we were all, from Denis on down, quite aware of how sacred the first film is, and we were very premeditated in our approach to this film. We wanted to embody the spirit of the first film but never copy it. Musically, Ben Wallfisch didn’t reprise anything – except at the very end of the film, spoiler alert! He didn’t reprise any melodies or themes. I’ve seen that this is true in sound; we didn’t imitate or copy anything from the first film. Everything was built and designed from whole cloth – but as I just described earlier, we tried to embody the spirit of the first movie, which was from a narrative standpoint. We live in this oppressive Los Angeles in the future where there’s too many people and only the lucky few got off world, and we’re surrounded by people and advetisements and bad weather and crushing traffic and desolation and lack of resources. Anything that sound could do to sell that idea was following in the spirit of the first film without ever imitating it and I think that was our mantra for the whole process: figure out what the spirit of the first film was, and then let’s go do our own version of it. But that’s not to say we didn’t feel the pressure. I know how beloved the first film is, rightfully, and my early months were filled with anxiety wondering if we were doing it justice. But sometimes you just have to pick yourself up and say, okay, I’m going to make something really great and this is my take on it. So, let’s break it down a bit on a closer level. Are there any particular scenes that stand out in your mind as being quite effective in terms of their sound design? There’s so many. One of my favourites is the whole – very quiet, almost sedate – sequence from the time K lands in the desert in Las Vegas, walks through that orange landscape of destroyed Las Vegas, and enters the casino to eventually meet Deckard. That’s a stretch where, for a good ten-to-fifteen minutes, there’s no music telling you how to feel, and yet that’s an area replete with these very provocative soundscapes and tones and compositions that we made to give a feeling to the scenes -without underlying it with music that might otherwise tell the audience how to feel. So, when K arrives in the casino, I created these very, very early soundscapes out of wind chimes and bells that I sampled and reprocessed. I made this composition that is actually the most melodic of anything we did in sound design for what I called K’s journey; that whole walk through the casino, you hear this underpinning of these very haunted bells that tells you a little bit about his journey. He’s alone and he doesn’t really know where he’s going and it played. Some people thought it was score. It didn’t matter to me. It was just the right tone and texture for that. Another example of sound design in its most reductionist form was the walk through the desert. Early on, Denis had told us that this was an important moment as K sees those crumbled statues, he wanted a cue to convey a music key written by the composer to convey the importance of the bomb that had gone off – the destruction, the aloneness, that nobody’s there, there’s no animal life left. Only a music cue could help the audience feel that, and Ben Wallfisch and Hans Zimmer had written an amazing cue for that moment. Along the same lines… In that moment, I had created these large drum like booms that we used as chapter markers so when we hit the cuts, we were telling the audience something new is happening here, and here, and here. Those undergirded the queue. As we final mixed the movie, Denis said, Mark I want those booms bigger. The sound I had made just didn’t quite have it. I asked Ron Bartlett, our re-recording mixer, to go be the drummer. Go home and record some big drums that will really give Denis what he wants and this will really give us some weight underneath the score. So, Ron brings it in the next day. He puts them on the desk, he’s recording that scene and to hear them clearly he turns off the music, [just playing] what the sounds are doing. Denis heard that moment and he said “hey wait a minute, what did you just do?” – well, he had to listen to these new boom sounds so he turned the music off, and Denis said, that’s absolutely beautiful. It’s just those booms and a little bit of footsteps as K walks through the desert. The loneliness of the moment, the quiet of that moment, was far more valuable than anything else. There is design through elimination where we ended up with a scene that is so austere yet incredibly effective because you only hear two things. A drum beat, and then nothing except K in his solitude, walking through the desert. Is it fair to say that this more minimalist approach sets this movie apart in terms of cinema as a wider whole? So true, and that’s such a part of Denis’ tool kit. Everything he does is always last. What do we only need to tell the story that we’re trying to tell in every given scene? We were very efficient that way, in terms of sound design and score and production design. Denis was all about getting us down to the essential elements, because that’s what’s going to be most effective and easiest for the audience to understand. To that end, part of my process was working with Denis for months before we ever got to a final mix. The final mix is that moment when all the sound food groups come together. Music, dialogue, sound effects. You try to figure out what those relationships are. It’s a complex and creative time for the director. We knew we wanted Denis to have a final mixed moment where he was making another decision. He wasn’t in the nitty gritty. He wasn’t in the weeds – where “I don’t really care for that sound” or “I don’t like this piece” happens – he was away working… We had worked through all of those important decisions much earlier on, so that the mix can really be a creative process for the director to lead and to tell the world, here’s what my movie needs. He’s very smart that way. Just briefly, because I’m curious – do you prefer to work linearly through a movie or do you build around the big moments? Well, I don’t just work the big moments and let the small stuff take care of themselves. Sometimes I think the extra small stuff… I think our quiet moments in this film are some of the most effective and some of the most well thought through, with some of the most interesting ideas in the film. But, to that end, we knew what our big set pieces were. Early on in the design process I was taking on, through instruction from Denis and Joe Walker and my own inner drive, what I thought were the important sound moments to address – whether they were loud moments or soft moments. One of the first discussions I had with Denis and Joe was about the quiet moments, because they understood that the loud moments were kind of… Those were kind of taking care of themselves. A bombast, not that we did bombast, is one of the easiest things to do. It’s quiet that’s the hardest thing to do. The first piece of footage that they showed me was of the walk in the desert, and the walk in the casino. Joe had mentioned this idea that we wanted very, very quiet wind. I said, if we want to achieve quiet there’s two ways we’re going to do it. One is that in the desert there isn’t wind; it’s a bit of a sound trope. Secondly, the way to convey quiet is to do very simple, almost zen, sound and then interrupt it occasionally, which is the brain’s opportunity to reflect and say “it’s been very quiet for a long time”. The first thing I did was create these very, very dead nothingnesses. The sound of nothing – but it can’t be dead quiet, or digital zeros as we say, because then maybe the audience would think there’s something wrong with the cinema. I had to create what we called the Seinfeld sound effect. The sound of nothing. On top of that, we would create these little teeny ‘window dressings’ of the sounds that you hear at night in your home at 3:00 AM – where it’s just the whole, you know, your house is creaking because it’s cooling off. You hear a little tick, or a little bit of water drop. Those were the sounds that interrupted the sound that told the audience it’s really quiet here. Those were some of our first, and best, early successes -creating these really quiet moments. On another note, I was also going to ask about your career as a whole. I understand you started out when you were 19, working on Hanna Barbera cartoons. At that point, sound design was very practical – I was wondering, how do you think that experience shapes your approach now? That experience, although you might think of it as being quite practical, was anything else but. Here’s the reason why: in cartoons, especially cartoons not just animation, there’s this zany sense of the unpredictable that actually created the foundation for everything that I know about sound design. In cartoons, if somebody hits you on the head, you don’t hear the sound of a fist on a bone skull. You hear a frying pan, or you hear a bird twitter. It teaches you very quickly the shorthand effecting metaphorically, and that’s the foundation of sound design. One of the tenets of sound design is thinking metaphorically. Here’s what I see, what else sounds like that? What isn’t like that, what tells the story? How can we hit somebody on the head and not have it sound like the sound of hitting somebody on the head? The comedic effect of what we want the result to be. After three years of learning to think metaphorically and beginning to design cartoon sounds, you know the strokes of sound design. I learn some of my earliest and best skills till this day. Also, not my mentors but my ‘the-guy-that-I-looked-up-to’ were the two great masters of cartoon sound, Jimmy McDonald and Treg Brown. They were the masters of the Disney Mickey Mouse shorts and Warner Brothers Looney Tune shorts, and they showed me how you could record real sound in the studio. Organic sounds, not synthesised sounds or funny sounds, and re-contextualise them for something that made them even funnier when they are placed with an image. For example, you know, one of my classics is the sound of being the Tasmanian Devil in the Bugs Bunny shorts. That, that spinning sound, is the sound of a travel air biplane inertia starter. A motor that you crank up with a whinch and it makes this fun spinning sound. Treg was a genius at picking a sound and then doing what we call re-contextualising it: putting it in a place it doesn’t belong and thus the sum of the parts… the sum becomes greater than the sum of the parts, or whatever that expression is. The total becomes greater than the sum of the parts. So, cartoons. To this day, I’m grateful for that, that early training ground. Something you have spoken about is how there some misconceptions about sound design – that it’s been perceived as more of a technical role than a creative one necessarily. How do you think that perception has changed over the course of your career? Well, it certainly has changed in forty-one years. When I began forty-one years ago, we were called technicians, because to be able to operate the equipment that was required to do our job, you had to have the training as almost like an engineering training, not a creative training like an actor might take in scene study or a writer might take in a character development. We never were taught those fundamental tools that I think underscored every creative aspect of film making. I think when you’re a production designer or an actor or a sound designer, the first tools you need to develop are the tools of storytelling and character development and those kinds of things. We didn’t learn those things, but in the sort of ‘golden age’ of film sound – not that I’m an academic in this topic, but I’ll say in the 80s – when George Lucas and Steven Spielberg began to leverage a grip on soundtrack to the benefit of their films, because they pressingly recognised the value it had. Sound designers started garnering more respect and began to be recognised as artists who could bring more to the movie than the simple diegetic placement of sound because it wasn’t recording well when film was shot. We can’t be so much more than that. When you take a film like Blade Runner or Mad Max, a movie that has arguably very little production sound in it, you begin to realise that every sound you hear is composed. It’s there for a reason. It was chosen. It’s not incidental. It’s not accidental. It’s there because it’s telling some part of the story directly or indirectly. Smart film makers have discovered that we’re as potent to storytelling tool as great as cinematography is. Which brings us back around to that comparison you make, that it’s sort of being like a director of photography but for the sound. Well, I’ve got a new one and I will run it by you. I think another interesting metaphor, which maybe the public could more easily understand – they may not understand what a cinematographer does – but sounds are to sound designers as words are to a writer. A writer uses as their simplest tool, words, to build sentences to build paragraphs to build chapters to build scenes to build scripts. Every single word in the screenplay or a novel is chosen for a reason. There’s no misplaced word. There’s no word that isn’t there for a reason. Writers sweat over words like sound designers sweat over sound. In that regard, we choose our palette of sounds and the order of those sounds and the way that it presents it to the audience; in the same way that the writer chooses their words and builds them to coherent sentences and lines of dialogue and soliloquies, so too does the sound designer with sound. I think that might be a helpful way of understanding the kind of effort that goes into creating the soundtrack to a movie. I kind of like that as a comparison actually. I think that’s better than the cinematographer one. Thank you. I’m about to try it out in another seminar so I’m glad. Thank you for that analogy. On another note, who or what would you say are your chief creative influences? I think I already touched on two of them. Treg Brown, who was the film editor and sound designer – although he was never credited that way. He only received credit as film editor on the Looney Tunes shorts, as did Jimmy McDonald. By far and away, I learned everything that I know today by studying what they did. And then Ben Burtt…! I blush when I say that because while I was a sound editor at Hanna Barbera, I was a journeyman. I was learning my craft. I knew very little about industry and who the players were in it, and then I saw Star Wars. You know, I’m sure you heard many people talk about Star Wars or having this epiphany moment in their careers that said, you must go in this direction. 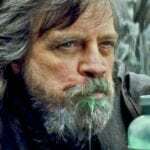 I saw Star Wars and I… All of a sudden I realised, oh my God sound isn’t just this utility that we add in five days a week to get a show ready. It has this other utility of this other narrative utility and it could be very creative and you can make a difference in an important movie like Star Wars and as I began to study Ben Burtt’s approaches in my career, I began to learn even more about how to apply most techniques in my own work. Really, those three gentlemen changed everything for me. On a slightly different note, are there any projects that you’re working on at the moment you could tell us a little bit about or is that all top secret perhaps? You know, I have to tell you, everyone’s surprised. I finished Blade Runner about four weeks ago and I’m on a comedy, a really sweet comedy called Tag. I think in the UK you call it something different? It’s a children’s game when you run around and tag, you’re it and now that person has to go tag one…? What do you call that at home? Yeah, tag, or sometimes just “it”. Yeah, I think I’ve heard this. It’s a really sweet movie about five guys in their 50s who, and this is based on a true story from the Wall Street Journal, play tag every year of their lives since they were kids. It’s a sweet movie about just wanting to be together, this being the excuse. You think I’m the guy that does all these tent poles but in fact I still love doing movies that have these other challenges that aren’t as obvious as world building like we did in Blade Runner. Well, picking up on that, I’ve noticed that on your website you’ve divided your work into genres – comedy, drama, so on. Do you think the different genres rely on different skillsets in terms of your training? Yeah, they absolutely do and that’s why I really love to mix it up. I think it keeps me really sharp; I have to switch gears coming out of Blade Runner mode to get into comedy mode, and it’s that process of constantly sharpening my skills that I think makes me really good, because I think everyone of those skills I bring to bear on the next movie. I mean, there isn’t a moment of a movie that I don’t remember something I tried on a comedy that I can bring to a drama or a science fiction film. They’re always informing each other. One example might be – although it’s not a direct example – is that I recognised that I needed to develop my skills as a storyteller and I challenged myself to and I took comedy improv classes for two semesters at a local Los Angeles Los Angeles comedy troupe, and – though it seems non-intuitive, why didn’t I go take a sound design class, why didn’t I learn how to use a new recorder? – I wanted to expand those other aspects of my education in filmmaking, because I knew they would inform everything that I do. By learning the skills that I learned in comedy improv, I learned to better understand what a film maker was trying to say in a scene, because I learned the really clever tools that actors have, like this process that they call “yes, and” or the process of active listening. All things that you need to be able to do effectively with a director when you first meet them, or when you come in for your spotting session to talk about the movie. I just had this idea – I have also taken cinematography classes. I haven’t dabbled in much else, but I know that someday I will take some writing classes and I’m obsessed with production design and I know nothing about it. I know that all of those skills inform your core skillset, if you know how to use them. 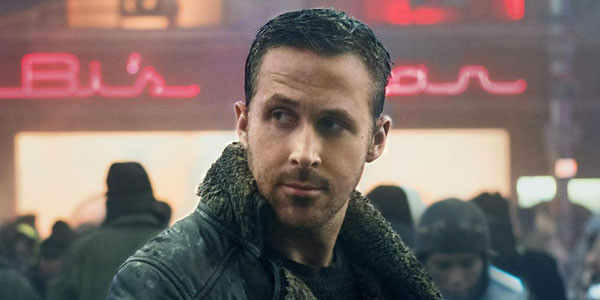 As a final question to round it all up, what would you most like audience members to take away from your work on Blade Runner, as well as your work in general? I think what I’d love audiences to take away is an appreciation for the finesse and the… Let me say this another way. We engage in science fiction, which I think makes it different from all other kinds of sounds for cinema; we have to do what we call world building and it touches on what I said earlier. No sound in Blade Runner is accidental or incidental. Every single little teeny thing you hear is thought about and considered and sweat over, just as every note in a symphony is thought about. Not only that but in science fiction, we have an added challenge. In cinema you hear this term suspension of disbelief. This is the goal of the film maker. When the audience walks into that dark room, whether they know it or not we need to convince them that what they’re seeing is real even though all of is artifice. All of cinema, except for documentaries, is artifice. So, sound has that same challenge of helping the audiences vent this for weeks now in traditional or in non science fiction film making. The sound designer has a little bit of a leg up because they’re dealing in a sonic universe that we’re all familiar with. We know what the sound tropes are, we know what a siren sounds like, we know what a dog bark sounds like, we know what an explosion sounds like – but in science fiction, none of those are familiar to the audience because we have to create everything from whole cloth. Everything’s design. Not only do you have to create from whole cloth but you have to make sounds that also are believable. I think that’s a special challenge for science fiction. We have to do this world building and create environments that no one’s ever heard before and get you to sign off on them and think, well yeah, that’s the sound of that thing makes. Mark Mangini, thank you very much!